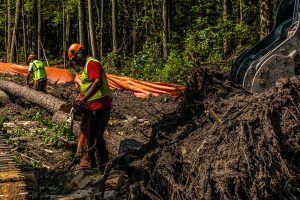 Land clearing involves the removal of trees, roots, and other vegetation from the development site. Brush removal. Underbrush could prove to be unsafe to your commercial property as it can spread wildfires. We remove all brush to keep pests and fire hazards away from your property. Tree removal. Whether you have dead or diseased trees or just want to clear the land, we can help. Soil structure preservation. Whenever possible, we process trees and vegetation where they stand, which helps to preserve soil structure, prevent erosion, and more. 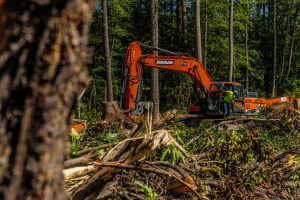 Our land clearing services are comprehensive and completely clear your spaces of growth and other debris. 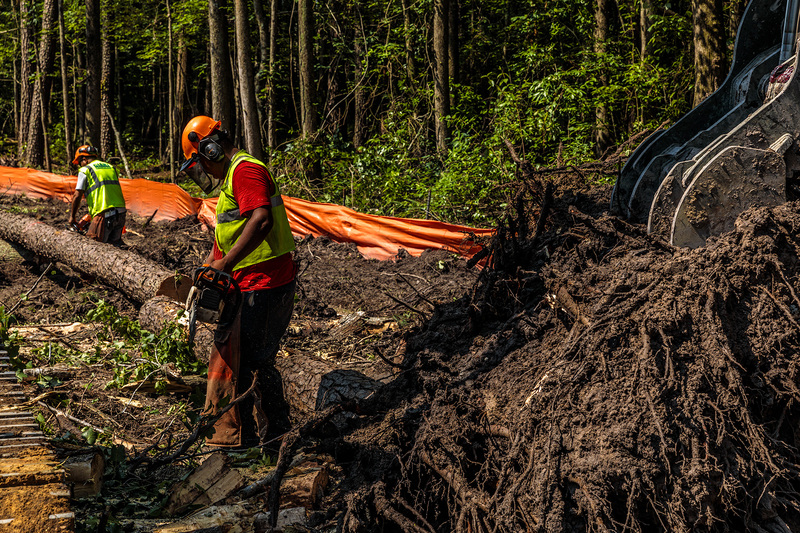 We employ highly-trained experts that can help provide guidance in your land-clearing project. 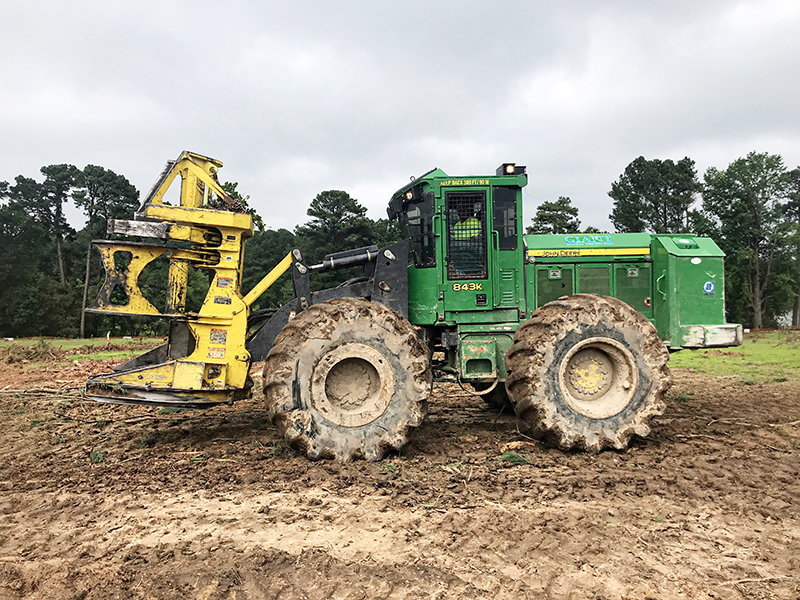 Our forestry mulching equipment quickly turns massive piles of timber into valuable mulch, halting erosion, restoring usability and equity, and leaving behind a manicured appearance. We mulch stumps and remove damaged and dead trees without harming remaining timber and native vegetation. Giant Development utilizes a Horizontal Tub Grinder to mulch and grind all the stumps and remaining debris. At Giant Development, we offer North Carolina land clearing services that increase your property’s value and its marketability. Take advantage of our turnkey site development services today. To learn more, please contact us. We have developed protocols for disposing of timber in a cost-effective and useful manner. We have successfully restored even the most devastated properties. Timber is removed from the land and carried off to an applicable mill or timber yard for recycling or merchantable timbers for the home building industry. In addition to mulching, we recover and process firewood.